Can you confirm these amateur observations of Phalotris nasutus? Comment Apparently not listed in the Zoological Record of 1915-1916. DE LEMA, T. 2002. 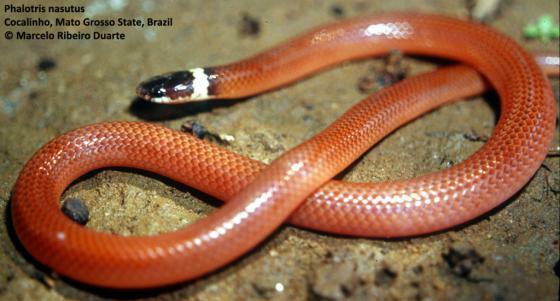 New species of Phalotris from northern Brazil with notes on the nasutus group (Serpentes: Elapomorphinae). Comunicacoes do Museu de Ciencias e Tecnologia da PUCRS Serie Zoologia, 15(2): 201-214.